Jesse Daniel. "Surest Thing". New Live Music Video. - Newhillbilly website. 100% American Roots Music. Jesse Daniel. "Surest Thing". New Live Music Video. 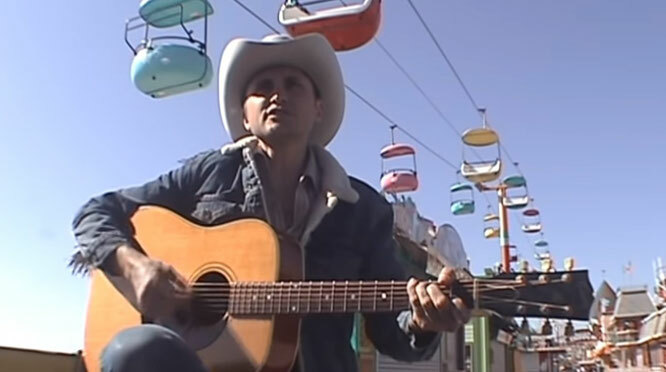 Ameripolitan honky-tonk vocalist of the year Jesse Daniel performs "Surest Thing". Daniel is quickly becoming a household name in today’s (not so) underground country music scene. Receiving critical acclaim from the likes of Saving Country Music, No Depression and Paste Magazine, among others, for his self titled debut. Since the release, he and his band have been touring nationally, sharing the stage with the likes of Junior Brown, Wayne Hancock, Dale Watson and Phil and Dave Alvin.